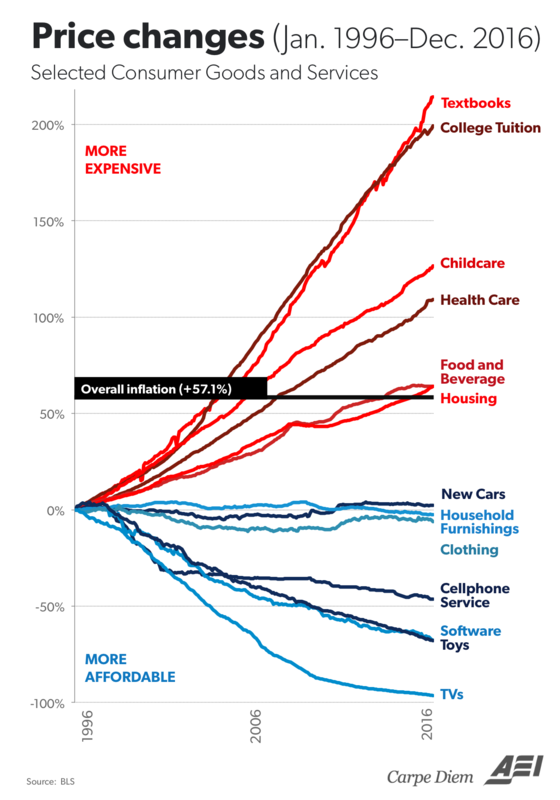 Price changes from January 1996 to December 2016 for selected consumer goods and services. I can understand the cost of healthcare rising as we have many new procedures and remedies that we are able to purchase. Healthcare that was not purchased 20 years ago. Cancer remedies, bionic joints. All of these are added purchases…What is responsible for the added cost of a K-12 and 4 year college education?? ?